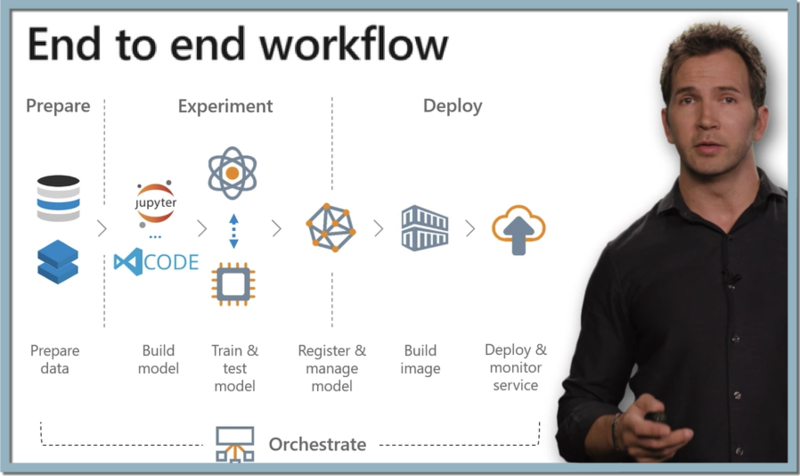 Azure Machine Learning service provides SDKs and services to quickly prep data, train, and deploy machine learning models. Improve productivity and costs with autoscaling compute & pipelines. Use these capabilities with open-source Python frameworks, such as PyTorch, TensorFlow, and scikit-learn. Get started with our quickstarts and tutorials. Run an experiment in the cloud (no install required). Run an experiment using a local notebook server (local SDK install). Train and deploy image classification models (two-part series). Prep data and use automated machine learning to train & tune regression models (two-part series). Find Jupyter notebooks to help you explore the service on Github.